ProCan is a new facility and international research project located at Children's Medical Research Institute (CMRI) in Sydney Australia. It was established with a $10 million grant from the Australian Cancer Research Foundation (ACRF). This world-first initiative was developed by Professors Phil Robinson and Roger Reddel at CMRI. ProCan has developed a database of information to advance scientific discovery and enhance clinical treatment worldwide. This database will mean doctors can more precisely diagnose cancer and effectively narrow down the best type of currently available treatment to target a patient's individual cancer diagnosis. This is personalised, precision medicine. If you would like to support this project, you can donate here. The information generated by ProCan will help scientists all over the world studying cancer. What’s more, the library of information created will be a point of reference that can be used now and in the future to aid rapid diagnosis and treatment planning. The Centre acts in partnership with cancer researchers, clinicians, tumour banks, and technology experts, such as Professor Ruedi Aebersold in Zurich, whose 2015 Nature Medicine paper acted as the 'proof of concept' on which the much larger ProCan project is based. The ProCan laboratory has now been built and its equipment is all operational, thanks to funding from ACRF and CMRI. Funding from the NSW Government has allowed the research project to commence, and further funding is required for the project to achieve its goals. This will require advanced computer analysis and bioinformatics techniques to compare the protein data with other information available, in order to predict the most effective cancer treatments for each individual. Proteomics is the next step after genomics, and the newest frontier in medical research. Most people have heard of the Genome – which is the sum total of all of our genes. The Human Genome Project analysed the entire human DNA code in order to gain insights into the changes that cause variation and diseases. The technology for "reading" the genome is now well established, and its application to cancer and other diseases has greatly increased our understanding of why they occur. However, understanding the genome is not enough. The information in DNA is used by cells to produce proteins. Some proteins help form the structure of cells and others are the miniature machines inside cells that do the work required for maintaining life, such as converting sugar into energy, and for helping a cell to grow and divide to produce more cells. So proteins are vitally important. The proteome of each type of cell consists of thousands of different types of proteins. Each type of protein behaves differently, working with other proteins in intricate networks. Proteomics is the study of the proteome, and it depends on rapid analysis of the proteins in our cells and tissues on a large scale - thousands at a time. It uses mass spectrometry, a powerful analytical technique for identifying proteins and measuring the quantity of each type of protein that is present. Most of the drugs used to treat diseases such as cancer interact with proteins, so cancer proteomics is an important new frontier in cancer research. Knowing what proteins are present in cancers is essential for developing new cancer treatments and for using existing treatments as effectively as possible. New technology called PCT-SWATH mass spectrometry is being used to rapidly and simultaneously measure the precise levels of many thousands of proteins in very small cancer biopsies. Working with leading cancer researchers throughout Australia and around the world, the Centre is analysing about 70,000 samples of all types of cancer, starting with cancers of childhood. 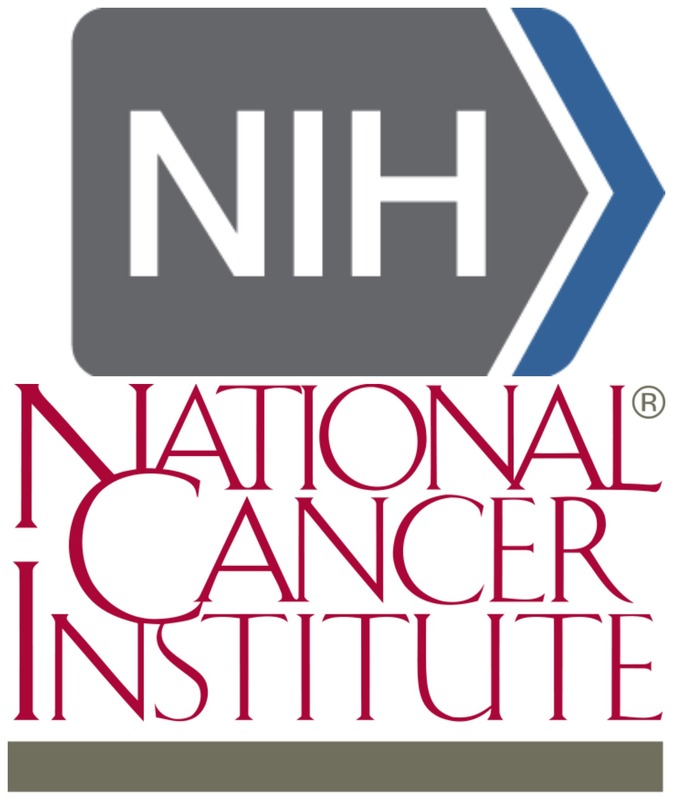 Advanced computer analysis techniques are then used to compare the protein data with the information that is already available for each cancer, including clinical records such as pathology test results, genetic analyses, genome sequencing, and how that cancer responded to treatment. This proteogenomics approach to understanding cancer is crucial to speeding up the search for cures, and towards this end, ProCan signed a Memorandum of Understanding with the United States' National Cancer Institute as part of Vice President Jo Biden's Cancer Moonshot Initiative. for management of the ProCan digital pipeline. of the Cancer Pathology Research Group. On December 9th, 2015, The Australian Cancer Research Foundation (ACRF) announced one of the largest private grants for medical research equipment in Australian history - $10 million - earmarked for six cutting-edge machines that will establish The ACRF International Centre for the Proteome of Cancer (ProCan) at Children’s Medical Research Institute in Westmead. “ACRF is a unique organisation because of its commitment to funding major equipment and bold initiatives. We’re extremely grateful to ACRF and their donors in the community for this opportunity to do something truly unique in cancer research and treatment,” said Professor Phil Robinson. Our international judges were impressed both by the quality and vision of the applications and the high standard of Australian research. CMRI was chosen after lengthy discussion to be the best of the best. “ACRF stands behind ProCan because we believe it will not only advance basic research into new and better cancer treatments but soon it will also help doctors rapidly choose the best existing treatment for their patients,” said Professor Brown. In addition to a $100,000 award from CINSW alongside the ACRF Anniversary grant, Children’s Medical Research Institute (CMRI) has been awarded additional funding from the NSW Government for The ACRF International Centre for the Proteome of Cancer (ProCan™). It is part of a $6 million State commitment to ‘proteogenomics’, a field of research with enormous potential for tackling health issues, such as cancer. “We’re very grateful for the funding from the NSW Government, which will make it possible for ProCan to participate more fully in the international efforts against cancer, especially in children and young adults,” said Professor Roger Reddel, Director of CMRI and co-leader of ProCan. “Proteomics is the new era in cancer research and ProCan will provide scientists the world over access to comprehensive cancer protein data to improve treatments, develop new therapies and allow for earlier diagnosis of cancers,” Chief Cancer Officer and CEO of the Cancer Institute Professor David Currow said. Professor Currow also said, “NSW is at the forefront of cancer research and the team at the Children’s Medical Research Institute will be fast-tracking our understanding of how cancers behave by unlocking this deeper level of cancer data." NSW Cancer patients will reap the benefits of ProCan, with their cancer proteins analysed alongside pathology results, genetic tests and previous treatment responses to provide precision-targeted therapies specifically for them. “As a member of the Kids Cancer Alliance Translational Cancer Research Centre, the Cancer Institute NSW is proud to support the Children’s Medical Research Institute as it embarks on ProCan. Understanding cancer proteins can lead us to new approaches to stop their growth, reduce their size or even cure them altogether,” Professor Currow said. Health Minister Jillian Skinner congratulated CMRI and the ACRF on the new project. “ProCan is the latest example of how NSW has become a destination of choice for cancer research, which in turn benefits people in our state living with cancer as they access the latest cancer therapies and clinical trials,” Mrs Skinner said. On February 4, 2016, SCIEX, a global leader in life science analytical technologies announced their formal partnership with Children’s Medical Research Institute (CMRI) to equip The Australian Cancer Research Foundation International Centre for the Proteome of Cancer (ProCan) facility with the solutions and tools required for the advancement of their large-scale proteomic profiling studies. These studies will profile thousands of tumour samples per year, enable discoveries around the causes of cancer, provide guidance of cancer treatment options, and work to produce standard operating procedures for other facilities around the world. The agreement provides ProCan with the high sample throughput required for the industrialisation of proteomics via a large suite of SCIEX TripleTOF® 6600 mass spectrometers and NanoLC 400 HPLCs, to create one of the world’s largest scale implementations of the SCIEX next-generation proteomics solution, featuring SWATH® Acquisition and OneOmics cloud computing. Additionally ProCan will benefit from SCIEX’s exclusive collaborators, Pressure Biosciences and Beckman Coulter, using Pressure Cycling Technology and liquid handling workstations for increased protein quantitation and reproducibility. SCIEX has designated ProCan as a “SCIEX Centre of Innovation in Precision Medicine" and will include SCIEX scientists working in partnership with researchers from CMRI to develop and trial new omics workflows in a real-world setting. The USA established a collaboration between its Cancer Moonshot Program and ProCan, as well as NSW State Government and other NSW organisations, in a Memorandum of Understanding designed to accelerate research into cancer. 1 in 20 children face a birth defect or genetic disease and over 500 Australian children are newly diagnosed with cancer every year. By supporting CMRI, you partner with us in tackling the leading causes of death in children. CMRI believes that, together, we can beat children's genetic diseases and create a healthier future for every child. CMRI collaborates with scientists all over the world to push research forward. It also provides important resources for scientists in Australia, such as CellBank Australia, and is a founding member of the Westmead Research Hub, part of the largest health and medical research precinct in the southern hemisphere. CMRI devised and leads the international project, ProCan, which will change how cancer is diagnosed and treated. ProCan's goal is to enable a personalised diagnosis that tells a patient's doctor exactly which treatments are likely to work for their individual cancer. Your support enables us to continue this important work, to recruit the best researchers from around the world, build the best infrastructure, purchase essential high-tech equipment and facilities, and to fund research student scholarships that foster bright young minds and fresh ideas—all of which will help us find cures for children's genetic diseases faster. Cancer Council NSW believes in a cancer free future. They are committed to conducting and funding research that improves outcomes across the entire cancer journey. Cancer Council funds more cancer research than any other non-government organisation in Australia. On behalf of the community, Cancer Council NSW invests around $18 million towards world-class cancer research each year. Cancer Council NSW awarded ProCan researchers an Infrastructure Grant to create an online platform to handle the vast amounts of data produced by the project, and enable it to be shared for research and clinical purposes. Prof Phil Robinson BSc (Hons) PhD NHMRC Senior Principal Research Fellow, Professor of the Faculty of Medicine, University of Sydney; Professor of Chemistry, The University of Newcastle. Prof Robinson is also Head of the Cell Signalling Unit at Children’s Medical Research Institute (CMRI) and an NHMRC Senior Principal Research Fellow. Professor Robinson’s career began after completing a PhD in Medical Biochemistry at The University of Newcastle. After an NIH Fellowship and a postdoctoral position at the University of Cincinnati, USA, he returned to Australia as an Australian Postdoctoral Fellow and a QEII Fellow and then developed a research team in Newcastle’s John Hunter Hospital. Professor Robinson joined CMRI as a result of the leadership and vision of Professor Rowe (CMRI Director 1980-2006) in building an exciting environment for conducting basic research with a focus on childhood problems and an environment providing the freedom to pursue large, long-term projects. Professor Robinson has received a number of awards during his career including the AW Campbell Award for Excellence in Neuroscience from the Australian Neuroscience Society and the Amersham Pharmacia Biotechnology Medal from the Australian Society for Biochemistry and Molecular Biology. Professor Robinson was chair of the Fellowships Committee of the NHMRC for three years and is also a member of the Research Committee and the Training and Awards Committee. He is on the editorial board of a number of journals, including the Journal of Biological Chemistry. Professor Robinson and his team have made major contributions to understanding aspects of regulating nerve cell communication, principally the process of endocytosis and the protein dynamin, which along with other nerve terminal proteins, remains the focus of the research. In a partnership with Professor Adam McCluskey at the University of Newcastle (UoN), the teams have developed the first pharmacological approach to controlling endocytosis, which will be a useful experimental tool and may also prove clinically useful. In 2009, Professor McCluskey and Professor Robinson established Australia’s first Centre for Kinomics, called the Australian Cancer Research Foundation Chemical Proteomics Centre for Kinomics, supported by Ramaciotti at CMRI and UoN. Professor Roger Reddel has been Director of Children's Medical Research Institute (CMRI), and the Sir Lorimer Dods Professor, Sydney Medical School, University of Sydney, since 2007. He is also Head of CMRI's Cancer Research Unit, Director of CellBank Australia and Co-Director of ProCan®. He obtained his medical degrees from the University of Sydney, trained in medical oncology at Royal Prince Alfred Hospital, and is a registered medical practitioner and Fellow of the Royal Australasian College of Physicians. Roger completed a PhD in cancer cell biology at the Ludwig Institute for Cancer Research in the University of Sydney's Department of Cancer Medicine, and received an NHMRC CJ Martin Fellowship and a Fulbright Fellowship to undertake postdoctoral research at the National Cancer Institute, Bethesda, Maryland, USA. He returned to Sydney to establish the Cancer Research Unit at CMRI, with the support of Cancer Council NSW's Bicentennial Fellowship. He has continued to receive major support from Cancer Council NSW, including being awarded the Carcinogenesis Fellowship for ten years, and Program Grants for ten years. His team is also supported by Cancer Institute NSW, Australian Cancer Research Foundation, the Judith Hyam Memorial Trust Fund for Cancer Research, National Breast Cancer Foundation and the National Health and Medical Research Council of Australia. Professor Reddel was elected as a Fellow of the Australian Academy of Science and of the Australian Academy of Health and Medical Sciences, and has been awarded the Ramaciotti Medal for Excellence in Biomedical Research, the NSW Premier's Award for Outstanding Cancer Researcher of the Year, and the Neil Hamilton Fairley Medal of the Royal Australasian College of Physicians. Prof. Ruedi Aebersold is one of the pioneers in the field of proteomics. He is known for developing a series of methods that have found wide application in analytical protein chemistry and proteomics like a new class of reagents termed Isotope Coded Affinity Tag (ICAT) reagents used in quantitative mass spectrometry. Prof. Dr. Aebersold and his team of researchers use the protein profiles determined by this method to differentiate cells in different states, such as noncancerous versus cancerous cells, and to systematically study how cells respond to external stimuli. These "snapshot" profiles indicate which cells contain abnormal levels of certain proteins. This is expected to lead to new diagnostic markers for disease and to a more complete understanding of the biochemical processes that control and constitute cell physiology. Prof. Aebersold serves on the Scientific Advisory Committees of numerous academic and private sector research organizations and is a member of several editorial boards in the fields of protein science, genomics, and proteomics. Prof. Aebersold is a native of Switzerland and obtained his Ph.D. in Cellular Biology at the Biocenter of the University of Basel in 1983. Since that time, he is a faculty member of the Universities of Washington and British Columbia, until 2000, when he co-founded the Institute for Systems Biology in Seattle. In 2004, he accepted a position as full professor at the Institute of Biotechnology at the Swiss Federal Institute of Technology (ETH) in Zurich , where in January 2005, his research group became the first integral part of the newly founded Institute of Molecular Systems Biology.